State Farm agents from Kirksville joined Truman students and the Dean of the School of Business on campus to recognize the company’s financial support of the SIFE (Students in Free Enterprise) program. 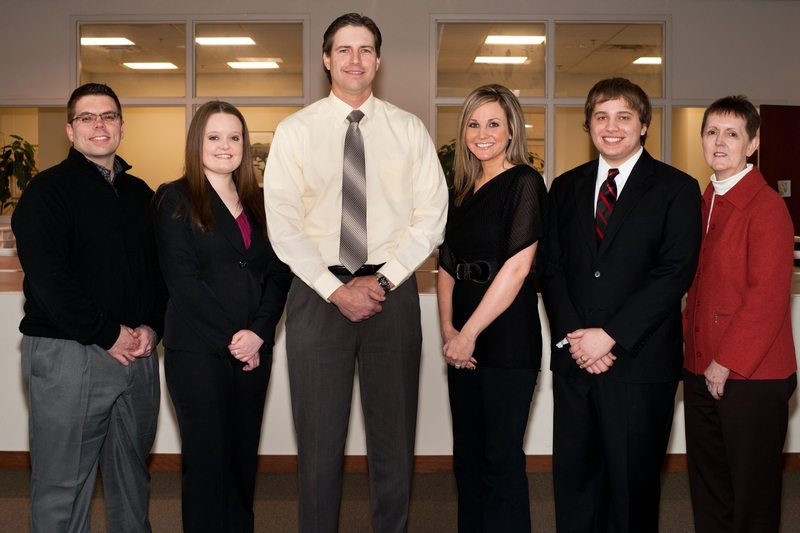 Pictured left to right are agent Brian Maijala, SIFE vice president Jessie Eubank, agent Chad Davis, agent Racquel Schempp, SIFE president Cody Hagan, and School of Business Dean Deb Kerby. State Farm has awarded a grant of $5,000 to Truman State University to assist SIFE, a student organization that conducts financial literacy programs in the northeast Missouri region. The grant was awarded to Truman’s Students in Free Enterprise (SIFE) organization to provide support for a series of financial programs, including Hablidades Economicas, a bilingual financial literacy workshop designed to benefit the Latino community in Milan, Mo., and Planning for Success, college preparation workshops for students in La Plata High School. Some of the topics covered in the workshops include how to open a bank account, writing and recording checks, balancing a checkbook, use of debit and credit cards and instruction of basic financial terminology. Truman’s Students in Free Enterprise (SIFE) team is a student organization within the School of Business that develops and implements projects that teach the principles of free market economics, entrepreneurial skills, financial literacy, personal success skills and business ethics with a vision of changing the world. Overall, Truman’s SIFE team has impacted more than 2,000 individuals and volunteered over 3,200 hours toward improving the quality of life in the region. Last spring, the team captured the regional SIFE USA championship in Chicago and advanced to the national competition in Minneapolis, Minn.